We had a little time to kill between Indians' preseason games in Goodyear so we did a little exploring of the area around Phoenix. 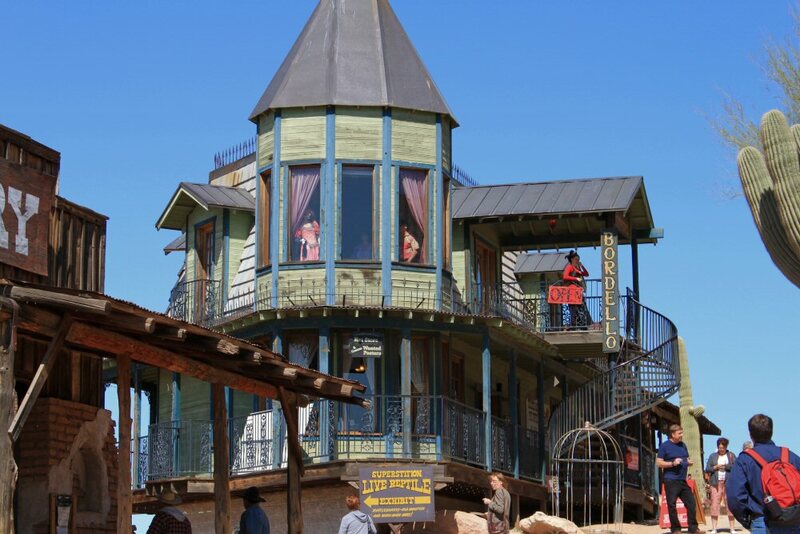 Tripadvisor reviews had labeled The Goldfield Ghost Town as a fun touristy attraction. Why not? We struck out to find it. The "town" is just abo ut 45-55 minutes outside Phoenix near Superstition Mountain. And yes, I would label it a tourist trap but what a fun trap it was. Sometimes you just gotta go with it. There really was a mine there at one time--a gold mine that yielded quite a high grade ore for a time but like all good things, it didn't last and the town that had grown up around it in the 1890s, soon died. New hope was given the town in the early 20th century when another man, George Young, using new mining methods pulled more gold from the earth. This new resurgence of the town ended as quickly as the first did. 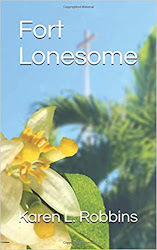 But in 1970, a ghost town, mining, and treasure hunting enthusiast, Robert Shoose, and his wife bought five acres of land where the Goldfield Mill had been and began to rebuild the town of Goldfi eld. Most of what you see there has been reproduced since the 1980s and is certainly geared to give the visitor a taste of what it might have once been. 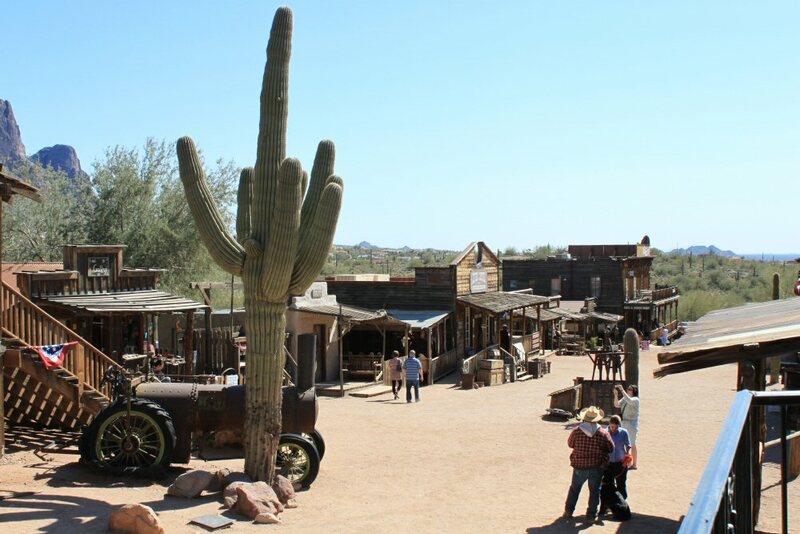 Scratch that. . .it's a place that looks like an old mining town with a couple of restaurants, a bunch of craft shops, a souvenir place, and a couple of hokey tours including a Mystery Shack that has nothing to do with mining or the old west. We started out with a train ride that was fun. The track circles the town and takes you through some desert area where the guide talks about the cactus and bushes/trees that grow there. 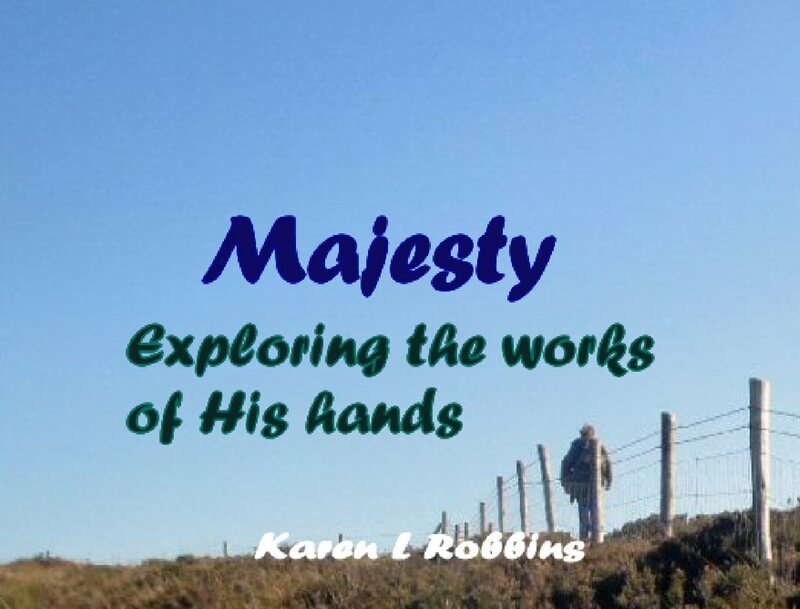 He tosses in a little of the history of the place and it was a good introduction with some good tales. From there we wandered up to the saloon where there was an outdoor porch where we could grab a hamburger and listen to some nice Western music. The performer soun ded a lot like Johnny Cash. 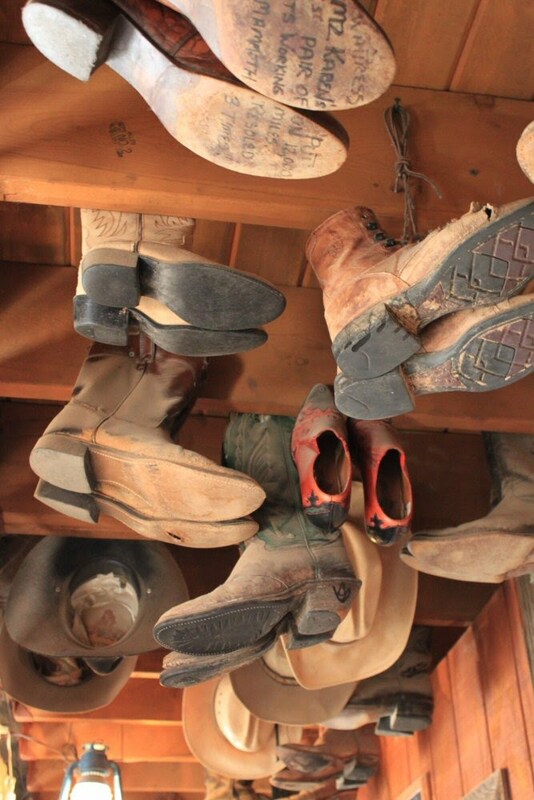 The picture of the hanging boots comes from there. If you look closely, the ones with the writing say something about the waitress who wore them having to resole them several times in the 1200 or so miles she walked waiting on customers. As we wandered through the town, the banter from the Bordello's balcony caught our attention. We climbed the steps to see what it was. Uh-huh. Once up there for $3, the same price a customer would have paid back when for services rendered, we could take a look at the "museum". We were there. Why not? There were three room s--a parlor and two bedrooms. One bedroom was for the working girl and the other was the madam's. 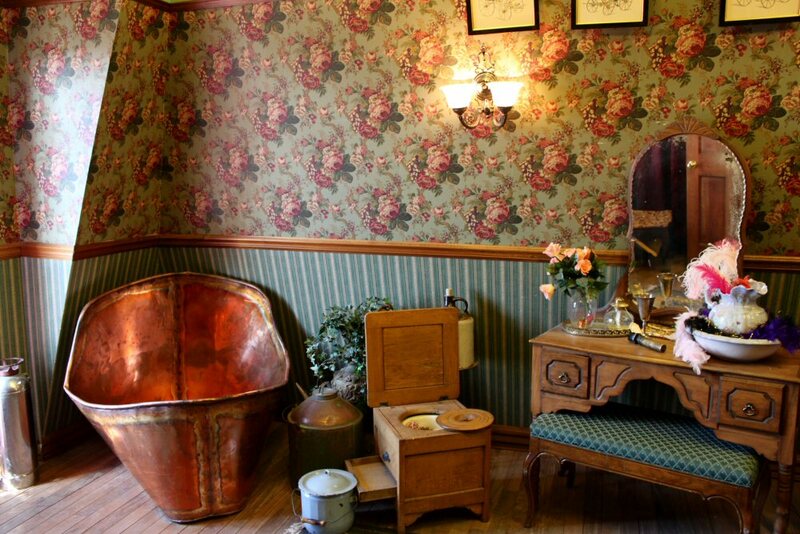 The madam's room contained the bathtub and the fancy commode you see in the picture. The tour information was kind of interesting and of course there was opportunity to buy several books about the women of the times. 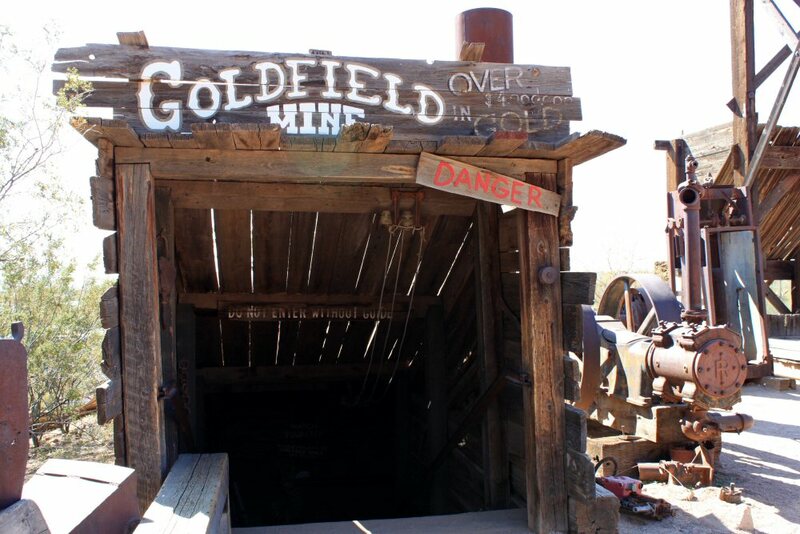 We mosied on down to the Goldfield Gold Mine to get our tour in. 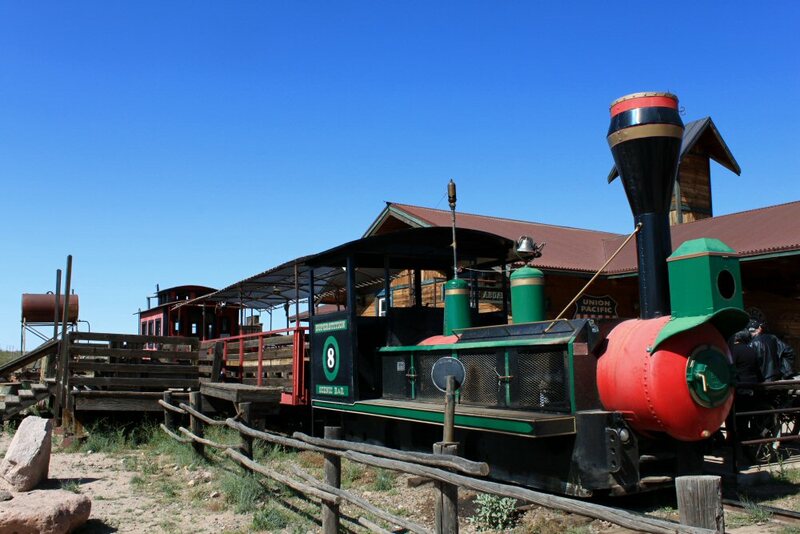 We had purchased a package deal for three tours: the train, the gold mine, and the mystery shack. The Gold Mine's tour guide was a real hoot. Spoiler alert! The Gold Mine tour was not really in a mine. Once down some steps, you were herded into what appeared to be a rickety elevator. Special Disney-type effects reminded me of the Haunted Mansion. Once the effect stopped we exited a rear door and were led through a narrow "tunnel" mostly of fiberglass rock that had some old mining equipment in it. Our guide did a good job explaining how the blasting was done (we've had other tours in real mines to know he was telling it straight). While it wasn't a real mine, it was informative and certainly entertaining. The Mystery Shack was exactly what I thought it would be but we'd bought the package so. . .why not? It was one of those buildings constructed in such a way that it throws your sense of balance off. Water runs up. Balls on a pool table roll the wrong way. You get the picture. If you have vertigo easily, it's not the place to be. By the time we were done, we had whiled away most of the day there but at an enjoyable pace, just being the tourists that we were. 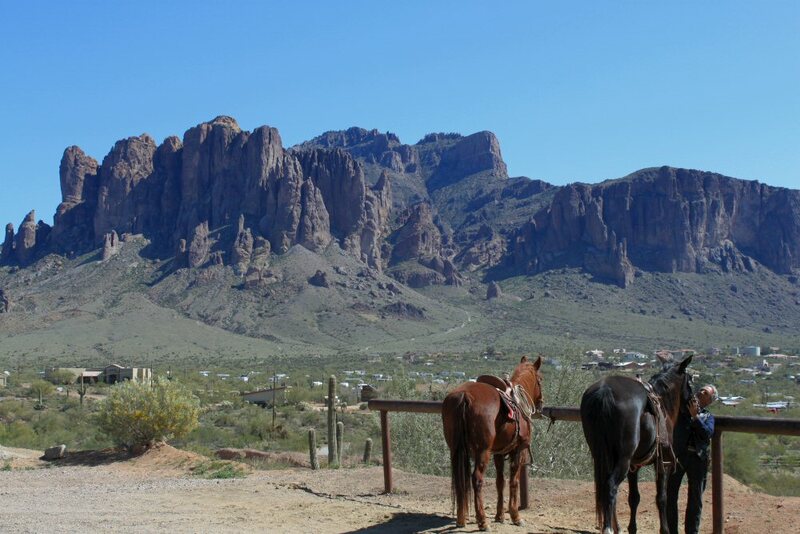 We did get a spectacular view of Superstition Mountain and got the feel of what it would have been like to kick up the dust in an old mining town. You're right. It was a fun day.